Our copper and aluminum expanded MicroGrid® materials protect composite wind energy blades from lightning strikes. As power output requirements increase for wind turbines, wind generator manufacturers are moving towards larger blades to rotate these larger turbines at lower wind speeds. As the wind blades increase to over 45 meters in length, blade construction is moving away from the more traditional all fiberglass construction to utilize more carbon fiber. The carbon fiber provides substantial weight savings and increased strength to combat the extreme stress loads exerted on the blades during operation. Carbon fiber, however, is conductive and more prone to be struck by lightning, but not conductive enough to channel the energy out of the blade. Without proper protection, they are susceptible to severe lightning strike damage and catastrophic failure. For two decades, Dexmet has worked with aircraft designers developing precision expanded MicroGrid® foils for lightning strike protection on carbon fiber composite aircraft. 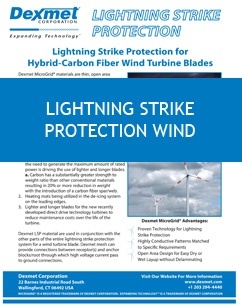 Wind Blade Manufacturers are also realizing the importance of having the proper lightning strike protection for larger carbon fiber blades and incorporating Dexmet’s precision expanded MicroGrid® materials into their designs. 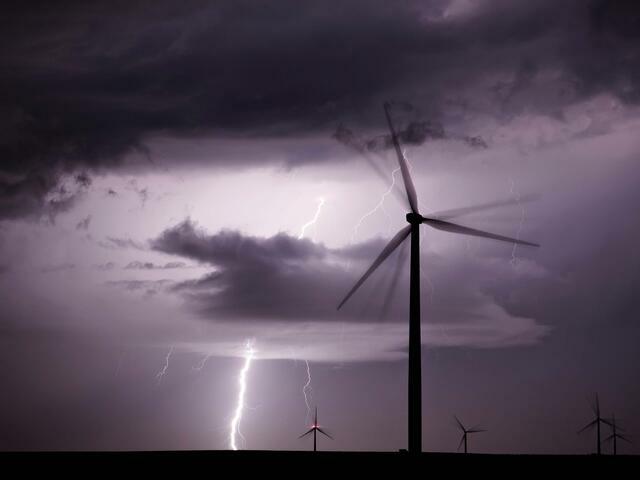 Dexmet MicroGrid® materials are thin, open area products applied to the top adhesive layer of the composite and are capable of achieving the critical conductivity required to dissipate a destructive lightning strike, protecting the carbon fiber layer below. Dexmet’s expanded copper and aluminum MicroGrid meshes are essential for extending the life of carbon fiber composite blades. In addition to protecting blades, expanded materials can also be incorporated into the composite turbine nacelles for additional lightning strike protection. With all rotary blades, lighting is more prone to hit the leading edge and the outer blade surfaces towards the tips where the highest amount of static energy is generated. For these locations, heavier, more conductive materials are utilized. As you move towards the root of the blade, a lighter weight material can be incorporated to reduce weight and cost. The variability with Dexmet’s expanding process provides the capability of producing a custom material based on desired weight, conductivity, or open area to meet exact application requirements. To learn more about the benefits of Dexmet’s expanded MicroGrid® materials, its lightning protection performance, and how it can reduce your maintenance costs and down time, download our data sheet. 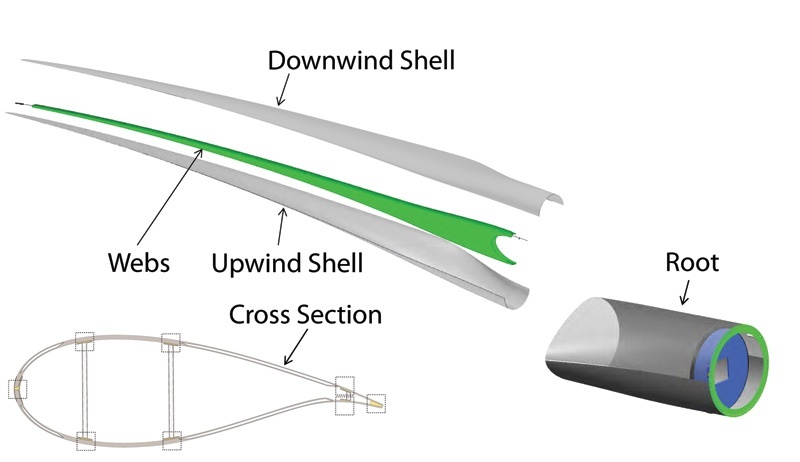 Let us show you how to incorporate our innovative expanded materials into your composite wind turbine blade designs.